Friday night, the Albert Lea Tigers boys’ basketball team finished its regular season by ernewing the I=90 rivalry against the Austin Packers. Austin used its full court pressure to jump out to an early lead and kept Albert Lea at arm’s length the entire game before blowing it open down the stretch and taking a 82-51 win. Throughout the game, the Tigers never found the answer for the Austin 1-2-2 press. Albert Lea was only able to keep pace with Austin for the first few minutes before the Packers started suffocating the Tigers into turnovers. Albert Lea held its last lead at 13-12, before Austin went on a 18-2 run to take a commanding lead. The Packers took a 44-26 lead into halftime. Albert Lea made adjustments in the locker room to try and counter the Austin pressure, and in the early part of the second half those efforts started to pay dividends. The Tigers cut the lead to 13 halfway through the half, but Packers’ offense proved too much for Albert Lea too handle. 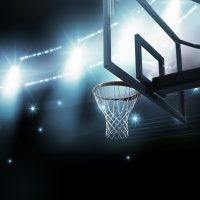 With the help of many of the 13 three-pointers the Packers scored on the night, Austin exploded in the final minutes and stormed to an easy 30-point win. Albert Lea finishes its regulear season with a 4-21 record. Austin ends its campaign at 21-5, with a share of the Big 9 regular season title. Both teams now await the seeding of the Section 1AAA Tournament which starts next week.